Is having magical powers a gift, or a curse? There’s plenty of action and mystery, and let’s not forget the magical house that is just built out of plain awesomeness. "This is a phenomenal book for middle grade readers, who can very easily project themselves into this adventure. In the grand old tradition of Harry Potter and Star Wars, I hope we hear a lot more about Chase Tinker, as well as the author, in the future." 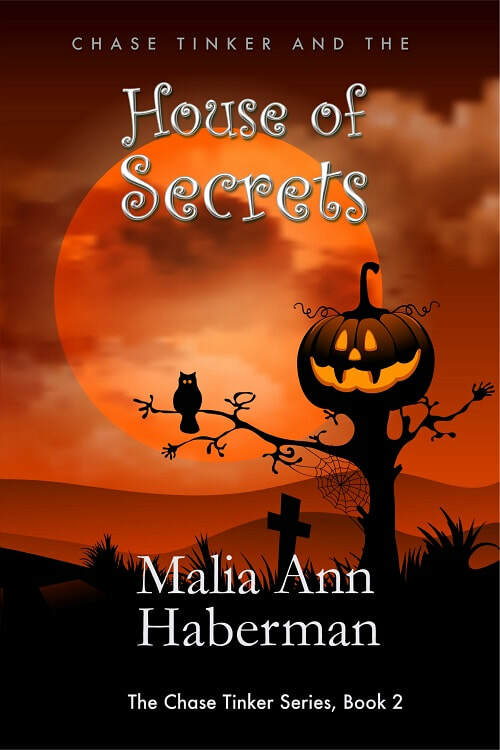 After spending the summer at his grandfather's incredibly magical house, Chase Tinker thought things couldn't get any more bizarre, or that the secrets and lies couldn't get any worse, but he was wrong. As summer turns into Autumn, join Chase and his family for even more magical craziness. Craziness that will include: the sneezing of strange powers, the reappearance of the evil Marlowe family, another frightening kidnapping, the discovery of a mysterious, magical Japanese-American girl, a dangerous rescue mission, and a secret so mind-boggling, it will lead to a shocking climatic finish that will turn Chase's world upside down and leave him feeling like one of the worst people on the planet. "WOW WOW WOW! I was very impressed by the first book and this second book is just as impressive. There are turns and twists as well as action and most important a lot of magic." This sequel, to the excellent Chase Tinker and the House of Magic, has not just continued the story, it has also increased my interest, introduced new characters, given plot and character twists that would make a mystery crime writer envious AND made me frantic for the next book. I am super pleased with this book. I cannot wait to read the next one. This book is so amazing and perfect. I can't believe more people haven't started this series already. Chase Tinker's usually-normal life has taken an unexpected turn. Several shocking family secrets have come to light and he's seriously freaked out about it. His missing dad, bizarre magical powers, an unbelievable, out-of-this-world magical house, and a dangerous enemy determined to destroy Chase's family are only part of all the craziness. Now Chase, along with his brother Andy, their cousin Janie, and their friend Persephone, must find a way to stop these wicked beings, while at the same time figuring out what's happened to his dad, and unraveling even more Tinker lies and secrets. "I see this as the kind of novel that both boys and girls will embrace, which is rare for children's literature. It's well-written, professionally edited, and tightly plotted. I recommend it highly." "I couldn't get enough of Chase and Andy, or the Magic House, or their wonderful adventure together through this magical place. I highly recommend this one to anyone at all. It's funny, witty, exciting, bone-chilling, romantic, adventurous & MAGICAL!" "I need more! What an exciting, magical adventure! 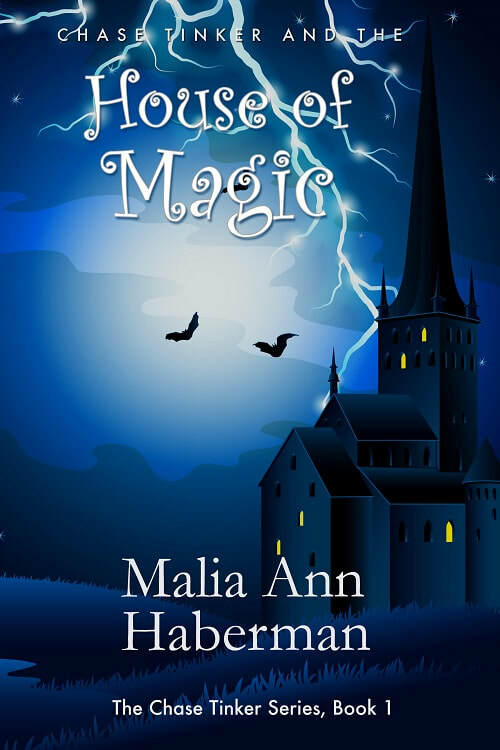 Chase Tinker and the House of Magic is a fun book with creative surprises that kept me hooked to the end." For eight agonizing months Chase Tinker's guilt for the despicable act he committed on Halloween night has been eating away at him, practically destroying his heart and mind. Chase's life gets even more complicated when secrets about the mysterious Relic in the attic are revealed right before an unexpected visitor arrives on Chase's birthday. But even with this, his biggest concern is that his family's Dark Enemy the Marlowes are becoming more powerful with each passing day from the magic they're continuing to pillage from the many magical beings in the world. Now, if they are ever going to win, Chase's family will need a whole lot of magical help to finally destroy the most evil villains to ever exist. Magic. Adventure. Danger. I can't say enough good things about this series. Thanks, Malia, for an awesome read. I really enjoyed your series. "Fantasy lovers will delight in the adventures of Chase and his family and friends. The action is hair-raising, the antics are fun, and the entire adventure is absolutely delightful." "I would completely recommend this book, not only to middle grade kids but to high school students too. Guys, this one is a winner. Grab your kindle and start reading. This is one you don't want to miss." The conclusion to both the book and the series is well-balanced; there are some serious consequences of the Tinker/Marlowe hostilities, but in the end, readers who’ve watched Chase fulfill his destiny should be quite satisfied with this last chapter of his story. ​Chase Tinker: his family, his friends, his house, his magic…his life. Will destiny be on his side at last? Will the Marlowes finally be defeated—and at what cost? All in All: This is a little gem of a series, especially because of how awesome the house is. Standing out among books on magic can pose quite the challenge, particularly when geared toward younger readers, but this series is definitely worth checking out.